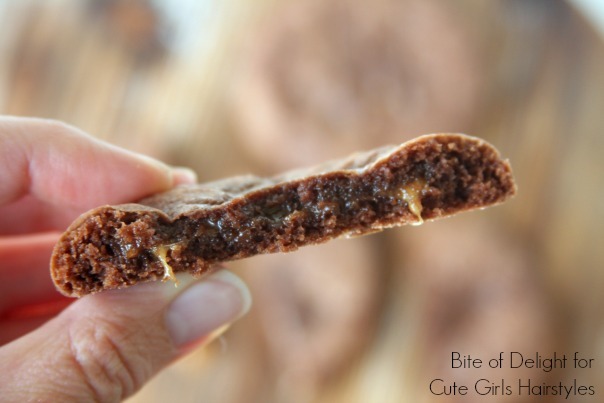 Caramel Stuffed Brownie Cookies are an easy treat that will impress your friends! They are simple to make, but rich and decadent and delicious, and definitely worthy of sharing with your neighbors. You can leave the caramels in their square shape, but they’ll retain this shape in the baked cookies, so I prefer to flatten them into discs. I like having some caramel in each bite! 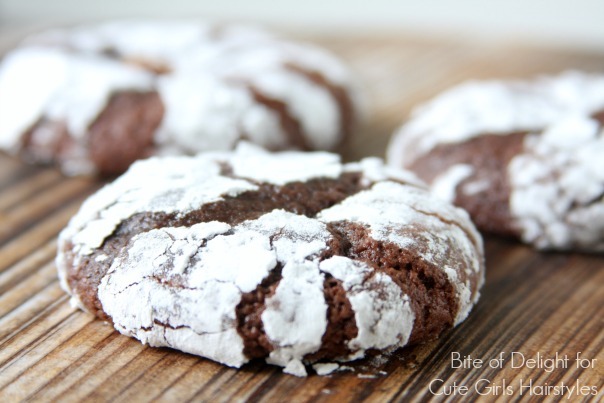 The powdered sugar is a fun addition, but they are still delicious without it. 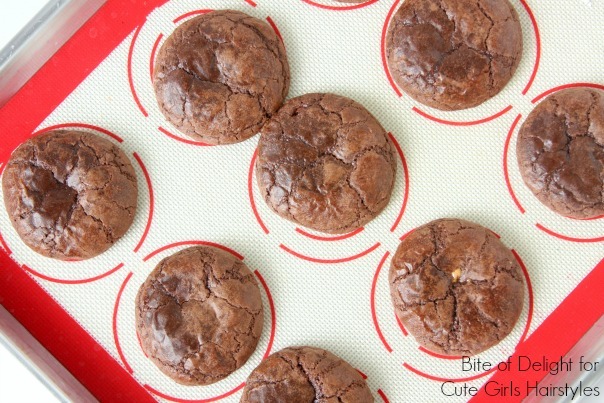 It only takes a few seconds to roll them, so I usually do it to get the fun crinkle cookie look. Preheat oven to 350°. Line or lightly grease 2 cookie sheets and set aside. 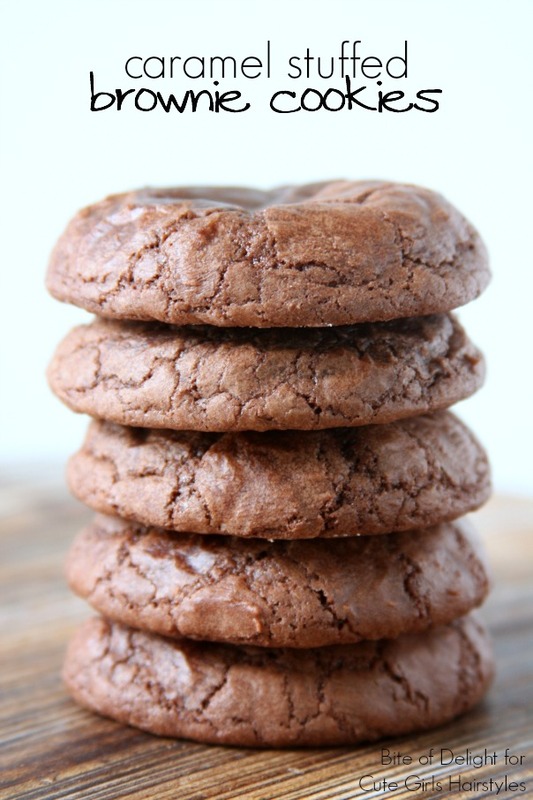 In a large mixing bowl, combine the brownie mix, egg, coconut oil, water and flour. Using a 1 tablespoon-size cookie scoop, make 36 dough balls. If they are too sticky to work with, place in the freezer for 10 minutes. Flatten each dough ball. Place a caramel disc on 18 of the flattened dough balls, then place the remaining 18 flattened dough balls on top of the caramel discs. Pinch the edges of the dough together to seal the caramel discs inside. Work the cookie dough into a smooth circle or ball. If desired, roll each cookie dough ball in powdered sugar. Place 2 inches apart on prepared cookie sheets. Bake for 10-12 minutes, or until set. Cool on pan for 5 minutes before removing to wire rack to finish cooling. Refined Coconut Oil (no coconut flavor) and Unrefined Coconut Oil (slight coconut flavor) work equally well in these cookies. Coconut oil melts quickly and easily. Do not overheat. I always get 18 cookies out of 1 batch, but the final yield will depend on the size of your cookies. If the caramel in your cookies hardens too much once they’re cool, just pop the cookies in the microwave for 10 seconds. This is more of an issue if you don’t flatten your caramels before you put them in your cookie dough. 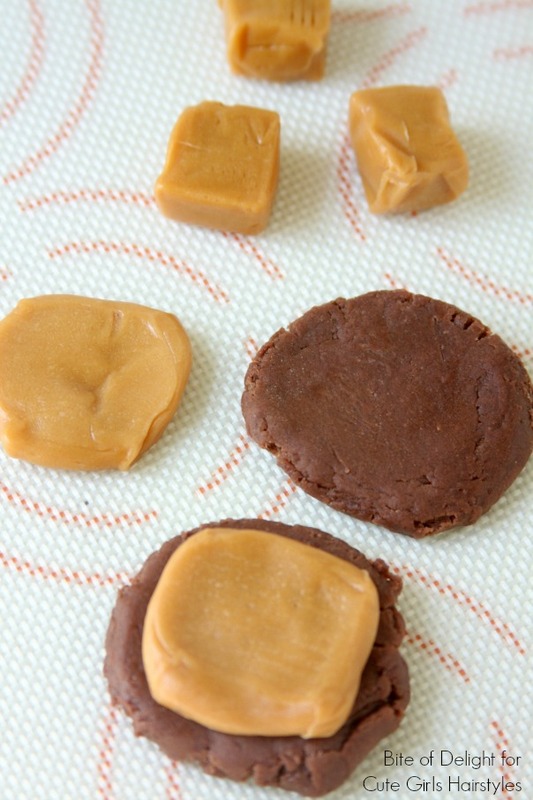 If you don’t flatten the caramel into discs, it will retain its shape inside the cookies.